Looking for great picture books? You’ll find books that are sure to captivate the imagination in our free Picture Books eNewsletter. Subscribe now. Find out what’s new and cool! 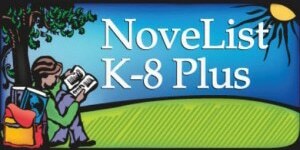 We’ll suggest fun and fascinating fiction and nonfiction for elementary school and middle school students in our free Kids’ Books and Tween Reads eNewsletters. Subscribe now. Browse, check out, and download eBooks and eAudiobooks from Michigan City Public Library using the Axis 360 app! It’s simple — just download the app on your device, find our library, and log in using your library card number and PIN. Don’t know your PIN? Click here to reset your PIN. If you need more help, please call the Circulation Desk at 219-873-3042, email, or stop by in person. Don’t have a library card? Sign up now for an eCard. Hundreds of non-fiction books that you can read online, covering the arts, science, nature, technology, history, literature, religion, and more. Whether you’re researching a topic or reading for fun, there’s something here for everyone. Log in with your library card number. Don’t have a library card? Sign up now to get an eCard.